A couple months ago I was at the library in a small town next to mine, and there was a flier about gaming night, a couple Thursdays a month. It listed all types of games, from board, to card, to role-playing. I approached the head librarian, a thirty-something year old guy who put the night together, to see what role playing night was all about. He said there is interest, but nobody knows how to DM, so they just bought one of those 4th edition boxedset game-in-a-box heresies. I couldn't let that stand, so I volunteered to DM a real campaign if he could get players. The first game it was just me, the librarian, and one 13 yr old boy. Next game, the boy brought four friends with him, ages 13-17. We moved the game to Sundays where we could have a four hour block of time. Next game we had eight players and me as DM. We are up to nine players now, seven kids ages 12-17, and two adults, plus me as DM, and we are only four sessions in. So far growth is just by word of mouth amongst the players with their friends. I'm already getting requests from the older player if some of his college friends (who he told about the game) can play with us during their winter breaks! The librarian and I have already discussed the possibility of setting up another group to run simultaneously, if we get too many players for me to handle. So far I'm ok with eight players at a time with 5e, which is a welcome improvement over the 3.x/Pathfinder era. The librarian would likely run his own game if need be. The kids are great. Every one of them reminds me of the type of player I knew in 1984 when I started playing. Standard gamer characteristics cross generations it seems. :) We have the same tangential game time discussions about movies, books, and video games related to all thing nerd. You can tell their girlfriend experiences have been few and far between. They have manners and thank me for running the game. Their imaginations are pumped up---after the game a bunch talked to me about their character's backstory and where they want to go with them. They're good guys, and I'm lucky to have them as players. (Yup, it's all guys so far. We are hoping to get some women involved by advertising the game more. These kids don't seem to know any who would play). We're playing 5e, since that was the most easily accessible game for everyone. Plus, I wanted them to be able to play pickup games with as many friends as possible who may be interested and/or have a book already. I'm running Blood Island, which I had been working on even during my hiatus. I created the campaign over on Obsidian Portal, and set up some XP bonuses for session write-ups and uploading maps, or drawings of monsters, etc. That's been going over pretty well. It feels really good to be DM'ing again. 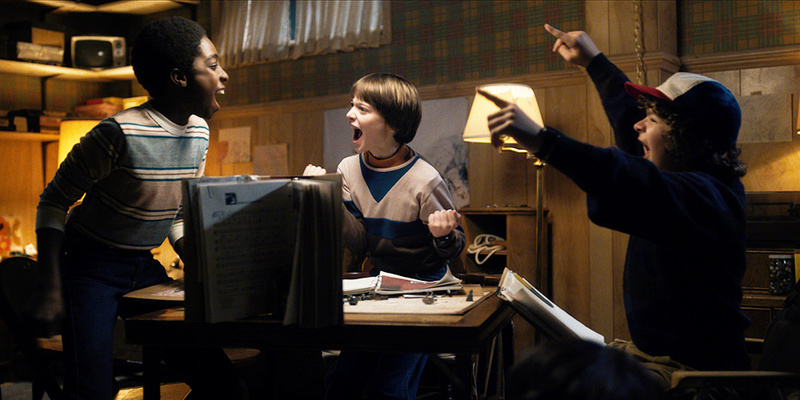 It feels especially great to DM with a bunch of kids who were my age when I started, and be the guy who introduces them to the game. It's weird, but with the kids I feel a big responsibility to make sure they have as much fun as I had when I was their age. Like I'm passing along something really special, so I'd better make sure I do it right. I feel it's made me up my creative game as DM a lot. So far the library bought four PHB's for the library, and about 10 bags of cheap dice on Amazon. Only one kid has his own PHB. (We live in kind of a poor area). Hopefully some with get PHB's over Xmas so they can read on their own and get better at gameplay. For the most part they are learning on their own at the table as we go, and doing ok with it. It feels great to give back to others with something I love and feel passionate about. I hope the game is as positive an influence in their lives as it has been in mine.